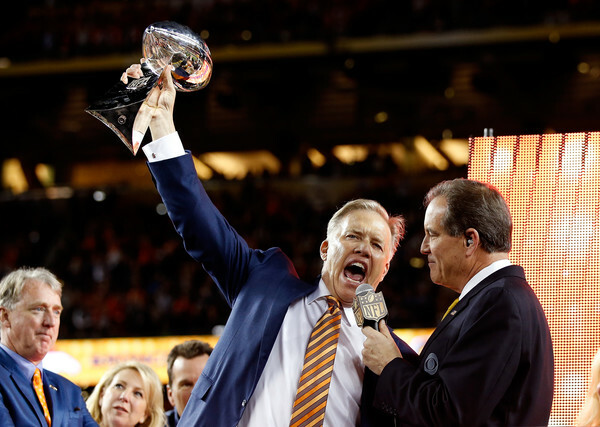 The whole “John Elway as a GM” thing didn’t have to go this well. Given Patrick Roy’s struggles running the cross-town Colorado Avalanche into the ground, this Denver fan base doesn’t have to look very far to see an instance where an iconic former player in a managerial role doesn’t yield the desired results. Since taking over the team after the 2010 season, Elway hasn’t been shy about making the unpopular, yet shrewd move: He moved on from Tebow after the 2011 season despite him being popular with the fans/entire human race, he fired HC John Fox after 3 outstanding years to bring in Kubiak, and he let the intriguing Brock Osweiler walk in free agency this past spring because he wasn’t comfortable with giving $80 MM to a quarterback that had thrown only 305 professional passes. It’s awfully weird to say that a team that went from Peyton Manning to Trevor Siemian at quarterback possibly “upgraded” at the position, but make no mistake: the Denver Broncos have a better quarterback this year than they did last year. I am not sure how good this offense will have to be in 2016, since last year Denver won the Super Bowl with the worst QB in the league, his name just happened to be Peyton Manning so we didn’t really see him as that. Siemian, if he indeed ends up being the starter for long over Mark Sanchez, is capable of managing a game, handing the ball off, and throwing it up to arguably the best duo of WRs in the league in Demaryius Thomas and Emmanuel Sanders. I think Gary Kubiak’s “run-first, play-action second” ethos is a prefect fit for what this team can look like on offense. 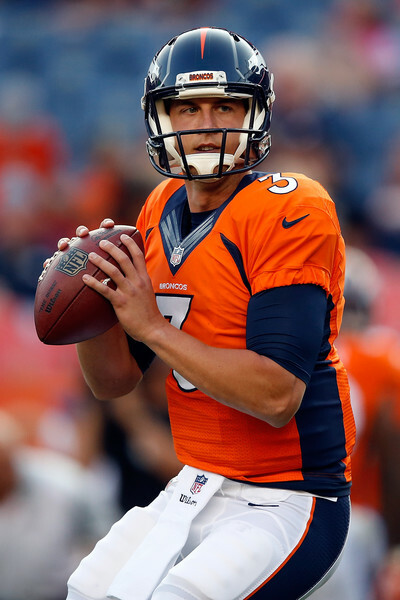 I can envision a scenario where Siemian takes snaps out of heavy-set formations with a fullback on the field, and has X,Y options to throw to on the outside coming off fakes. The reason this didn’t work last year was because Peyton has taken most of his snaps out of shotgun over his career, with receivers spread out all over the place. His old bones were not able to move the pocket and sprint out on bootlegs the way that Joe Flacco did in 2014, when Kubiak (then the Ravens OC) extracted his best statistical season out of him. I’m not saying that Siemian or Sanchez this year is going to play like Flacco did two years ago, but given how limited a passer he is, you can’t really put him in a better system to succeeded. Having said all of that, if CJ Anderson and the rest of the backs play more like they did in 2015 than 2014, then the play-action fakes will fall on deaf defensive ears, and whoever is under center will have to throw the ball 30 times/game. Ask Rex Ryan how that can turn out. Where do you even start here? This squad’s more talented than the Golden State Warriors. This team sent a ridiculous 7 defensive starters to the Pro Bowl last year, and while they did lose Malik Jackson who had an outstanding Super Bowl, they are returning most of that core that played so well. Von Miller is rated a 99 in this year’s Madden, one of only 3 players to receive that honor, and it’s pretty justified. The guy’s a beast, and as far as pure pass rushing ability, is one of the most freakish players I have personally ever seen. In the secondary, the Broncos are returning what’s arguably the most talented Corner and Safety combination in the NFL. Talib and Harris at corner, complimented by Ward and Stewart playing centerfield is as good as it gets, and part of what made the defense so dominant last year was that good corners are made to look great when the QB has less than 3-Missisippi to throw. This defense is so stacked to me, that the only X factors I can envision have to do with health and age. Demarcus Ware, for instance, was fantastic last year…can he do that again at 34? Talib, seemingly that misbehaved kid on Tampa Bay just an hour ago, is now entering his age 30 season. That’s about when corners start to get put in the toaster by younger quicker wideouts…how good will he be again? There aren’t really that many question marks on this defense at all, just mostly exclamation points with a bunch of hypothetical what if’s. I have a hard time seeing them outside the top ten, but very much like the Chiefs that I mentioned earlier: if this defense is top ten and not top three, how will that hurt their W/L record given the ceiling of their offense? 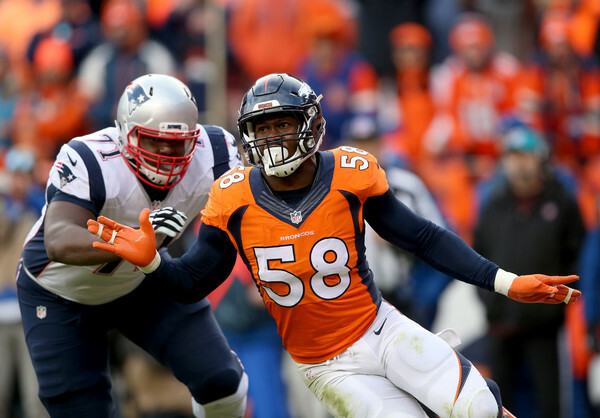 Clock eventually runs out, but Broncos merely handled the opponent, didn’t dominate. I am always weary of teams that win tons of games by skin-of-teeth margins and never look as dominant as their record suggests, and historically those teams always regress to the mean. That’s what will happen here: 9-7 record; out of the playoffs.